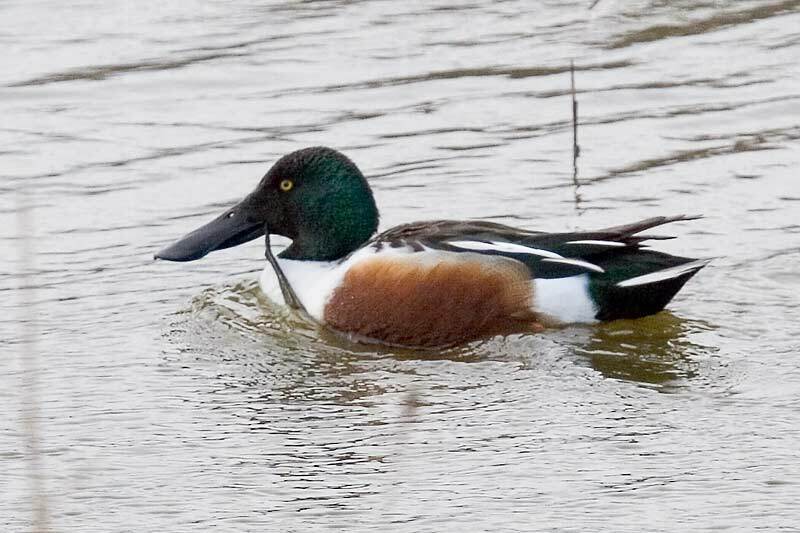 The Shoveler is distributed in temperate zones of Europe, Asia and North America. 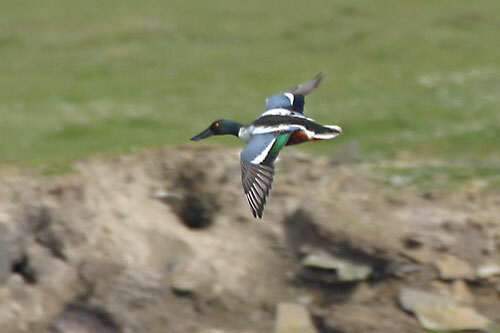 They are found in open woodland and grassland where there are shallow fresh-water bodies on which they can feed. 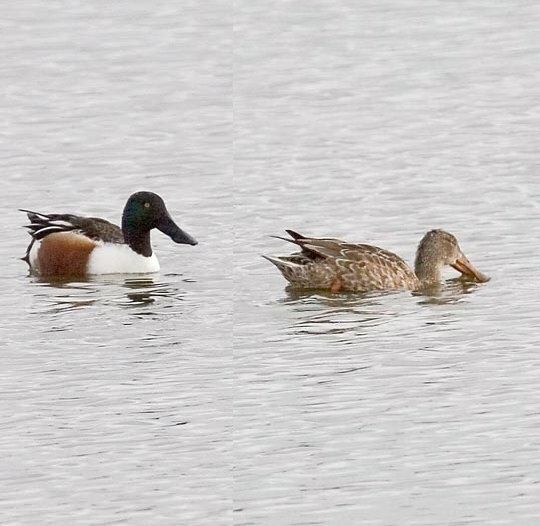 The female, seen to the right of this photo, looks a bit like a female Mallard but with an enormous bill. Food consists of tiny shellfish, insects and their larvae and plants including seeds. 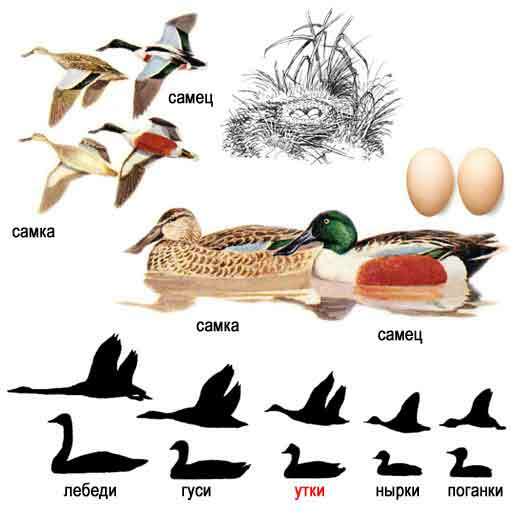 where the large bill is used to sweep the surface of the water and their highly developed filtering mechanism retains plankton, etc..
as seen in these photos, has a green head, a white breast and a bright chestnut belly and flanks. The upper forewing is pale blue and it has a green speculum with a white border at the front edge. They are largely migratory with populations moving south in the winter but in a general shift rather than a unified movement. Thus birds that have bred in Iceland winter in Britain and birds that bred in Britain winter in France and Spain.